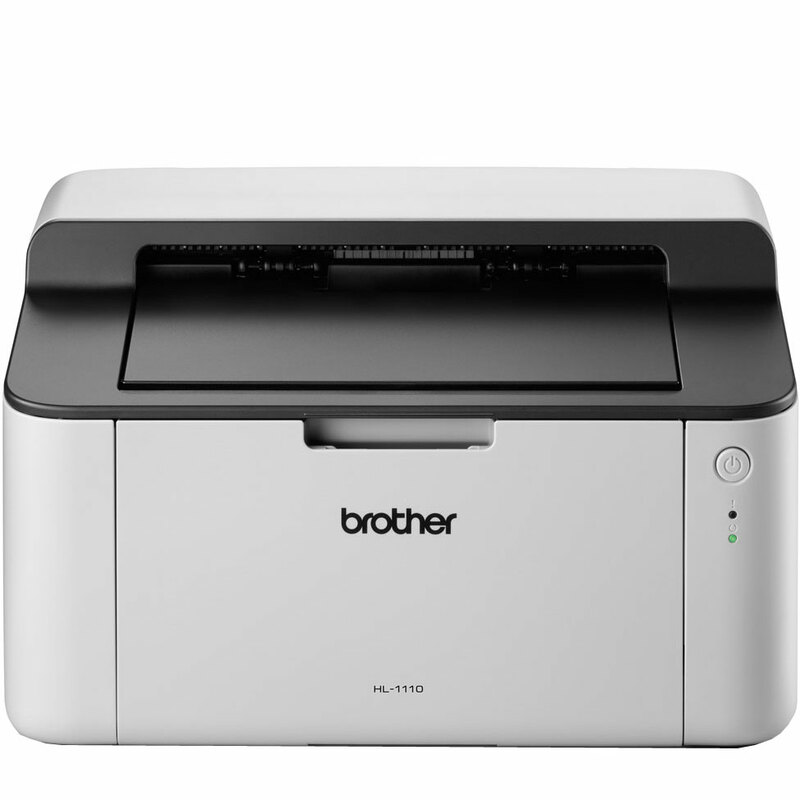 When it comes to entry-level printers, you can’t really go beyond the Brother HL-1110. The regular readers amongst you will say that we’ve reviewed countless entry levels printers so there’s nothing new about the Brother HL-1110. You would only be partly right. While we have reviewed entry-level options in the multifunction printer and A3 segments, we haven’t really reviewed entry level printers in the personal segment. So, we’re partly right too. 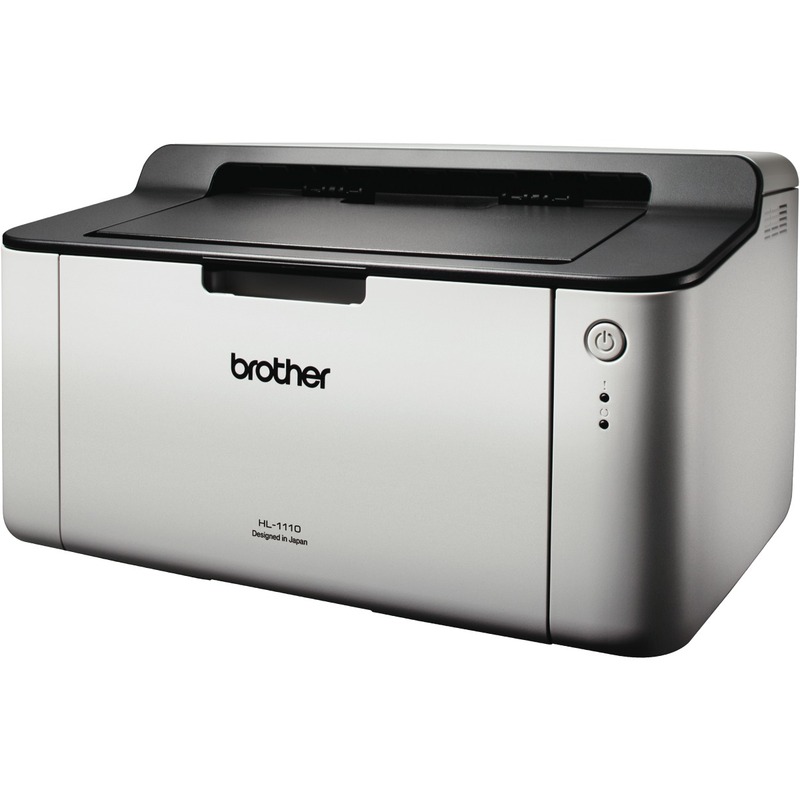 The Brother HL-1110 is an entry level monochrome laser printer and it makes no excuses for it. 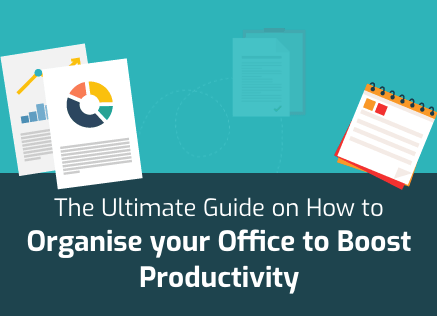 In fact, it revels in the fact that it is most suited for personal use whether in a home office setup or the student dorm. The reason why we say that it revels in it is that the Original Equipment Manufacturer (OEM) hasn’t really tried to present the Brother HL-1110 as anything more than what it is. This, folks, is the simplest printer you’ll find in the market so you should only consider it when your needs are minimalistic. Essentially, if all you need is a reliable printer that can give decent quality prints and are also short on funding, then the Brother HL-1110 is your best friend. Here’s our review. What do you need most from an entry level printer designed for personal use? You need affordability. 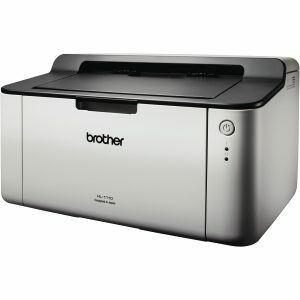 The initial cost of the Brother HL-1110 at just over $60 is comparable to entry level inkjet printers. So, if you were expecting the entry-level laser printer to be valued at around $300, then you need to move out of the dark ages and come to the 21st century. Furthermore, you need to update yourself on the latest technologies if you expect the print quality of an entry level laser printer to be poor. The Brother HL-1110 is the best place to begin. At a very low price point, this device gives you very decent print quality. It is rated for a maximum resolution of 600 x 600 dots per inch (dpi) and its output quality is at par with the industry benchmarks whether you consider text, graphics, or images. 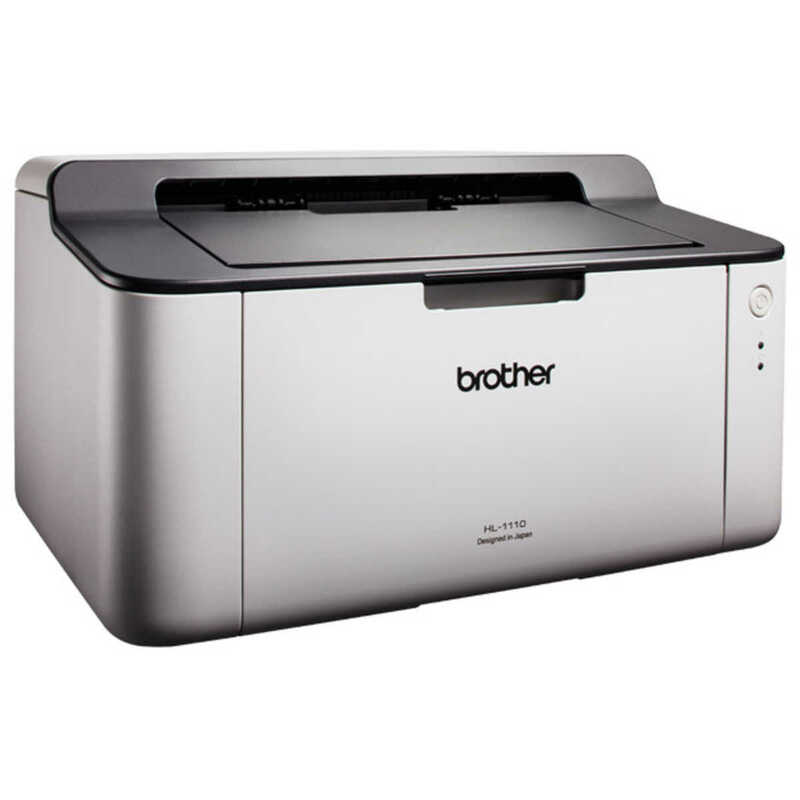 Laser printers are known for generating good text prints and the Brother HL-1110 does the same. This printer is slightly better than the average when it comes to graphics and very much average in images. However, why would you print photos and images with an entry level monochrome laser printer anyways? The print speed of this device is also impressive for the price segment it sits in. The Brother HL-1110 can print at a maximum speed of 20 pages per minute (ppm) which is higher than most of its competitors. Paper handling capacities of this printer are more than sufficient for personal use since its paper tray can hold up to 150 sheets at one time. Out of the box, the Brother HL-1110 is very easy to use. It is your standard plug and play device where you take it out of the box, connect it to your computer, and start printing. Placing this device on your desk shouldn’t cause you too much trouble either because it is incredibly compact and fairly lightweight. The Brother HL-1110 measures about 340mm wide, 238mm deep, and only 189mm high. You’ll be able to carry it around easily too since it weighs only 4.5 Kg. The most insidious and annoying problem with the Brother HL-1110 is that it is extremely noisy while printing. While in a busy office, this may not be that much of an issue but you might want to think about the noise factor seriously before bringing this tractor home. Another slight problem is that the OEM has provided no option for covering the paper tray. This means that dust and lint can get inside your printer if you decide to not do something about it. Having said that, the paper tray is foldable so we think Brother might have expected its users to fold it after every use. Finally, another major problem that you can have with the Brother HL-1110 is its total cost of ownership, which is slightly on the high side. 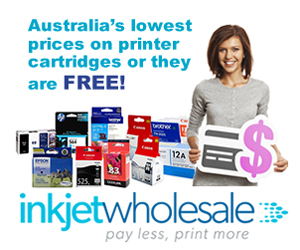 The operational costs of this printer add up to about 7.4 cents per page but that is with OEM provided cartridges. If you use generic cartridges, you can reduce this per-page cost to only six cents, which is slightly better but still not the best. It is worth mentioning that in personal use per-page costs usually become immaterial because individuals don’t tend to print high volumes. 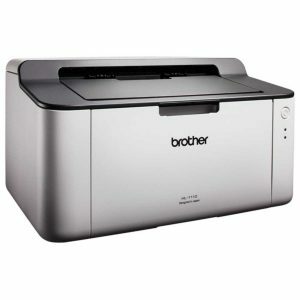 The rest of the problems we have with the Brother HL-1110 are there because we’ve been spoilt by the bigger, burlier, and more advanced printing devices. In other words, now we’re just going to talk about features that aren’t there. Take the control panel for example. The control panel on the Brother HL-1110 is nothing but two pinhead LEDs and a power button but then again, what else could they have put on it, right? Similarly, there is no automatic duplexing feature to help you save costs. There is a pedantic manual duplex setting, though. You can turn this setting on to save paper but you’ll have to manually flip the paper. There is also a booklet setting which works similarly. Moreover, one feature or lack of it thereof that really shouts out the personal nature of the Brother HL-1110 is that it can only be connected to your PC through USB 2.0. There is no wireless option and it doesn’t even have an Ethernet port. The assumption is that personal users won’t really put this device on the network. As can be expected, this also means no mobile printing support. As mentioned earlier, the Brother HL-1110 is a simple device. There aren’t many features that we have left after writing for more than a 1000 words. Still, we’ll try to squeeze the well dry. The Brother HL-1110 is not meant for high volume printing. How do we know this? Well, its maximum duty cycle rating is 1,800 sheets. The fact that you can only connect this printer to your PC through USB 2.0 means that the sole method of controlling this device is through the drivers. There aren’t many options there either but there is a print profiles tab that contains some pre-sets that Brother thinks everyone uses. 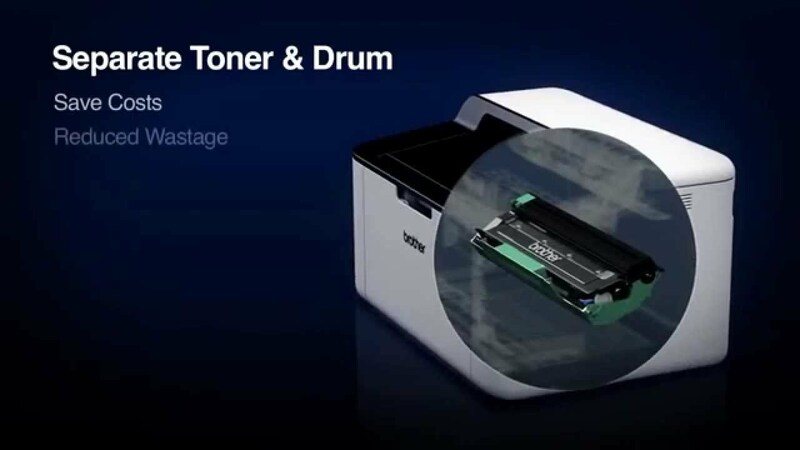 The photoconductor drum in this printer is rated for a maximum lifespan of 10,000 pages and is in a separate module than the toner cartridges. This means that you save some money when the time comes to change either. The internal memory is 1MB and the first print can be obtained in less than 10 seconds from the ready mode.